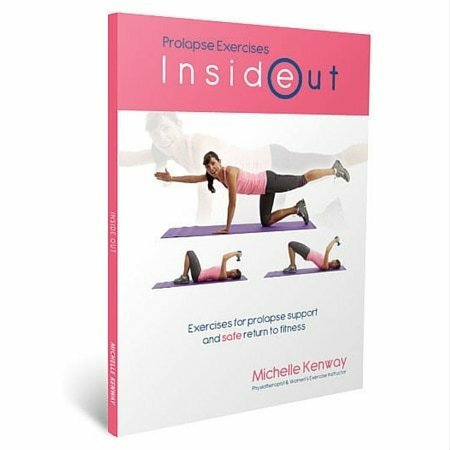 Want to know much you can lift with prolapse problems or after hysterectomy? Unfortunately most women receive very little information about safe lifting to help them manage their pelvic floor problems. Fact 4: Every woman is different when it comes to safe lifting weight limit – there is no single safe lifting weight for all women! 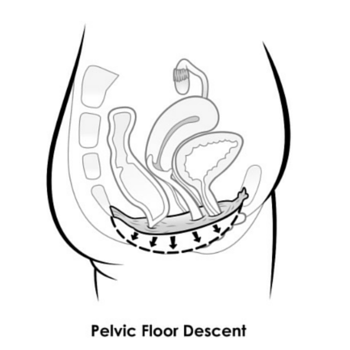 Many factors determine how much weight your pelvic floor can withstand to avoid pelvic floor descent and strain (shown right). Internal and external factors determine your individual safe lifting weight limit. Some ladies are given instructions like “never lift more than 10kg or 22lb” after prolapse surgery or hysterectomy. This doesn’t take into account the other factors that determine safe lifting weight. When it comes to safe lifting you need to consider more than just a single number to avoid worsening prolapse and other pelvic floor problems. Your ability to grip the weight (influenced by size, shape, handles etc). 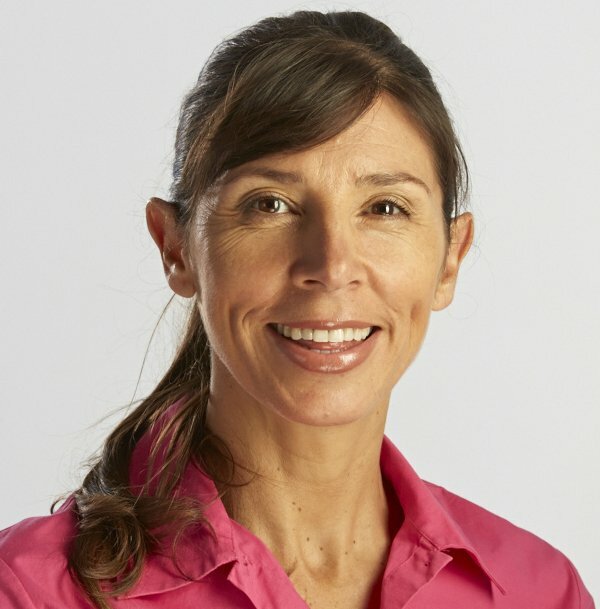 You can see the many factors that come into play when it comes to safe lifting weight limits making this a challenging issue for women and health practitioners alike. There is no single safe lifting weight limit for women with or at risk of pelvic floor problems. Your safe lifting weight is determined my internal and external factors that may increase the load on your pelvic floor with lifting. Minimize your risk of pelvic floor strain and worsening pelvic floor problems by using these simple safe lifting techniques during your everyday activities. Thank you for this interesting article. My doctor who did two surgeries on my bladder, and a rectocele with tape had to do a further surgery using fascia from my thigh after my small intestine fell. After my last examination I asked if I could go back to the gym, as I had always been very active teaching Yoga and aroebics. She told me that I should only work out with low weights, and only those that I can carry easily in one hand. I therefore only go with 5-lb weights. My doctor also belongs to a gym, and only uses low weights with more reps. She is in really good shape. I have found your book and your newsletters very helpful on my way back from recovery. Yes I think lighter weights with more reps is a great solution in the gym as opposed to heavy lifting. it won’t give quite the same strength benefits however it will still strengthen and improve endurance with less risk of compromising the pelvic floor. Sure I will add this link to this post now here’s a video with some pelvic floor safe core exercises using the exercise ball and this video for cores stability exercises. Hope these help you out! Lovely to hear from you! I think with a history of prolapse surgery upright seated leg press is definitely not an appropriate exercise to be performed repetitively on a regular basis. Seated leg press is one of the first exercises I take out of an exercise program in women with prolapse/pelvic floor problems. As a one off at 16 kg it’s really hard to say for you – some ladies with very weak pelvic floor supports wouldn’t cope well with this exercise. Since you are young and quite strong and didn’t feel strain I don’t see a major issue but I would leave it on a regular basis for sure. I understand he needed to set a baseline for your leg strength – it’s a shame another measure of leg strength can’t be used in this instance as I imagine now he’ll want to do repeat testing at a higher weight. Did he say this will be used as an ongoing measure Gail? Good questions here thank you – torpedo Pilates move is a trunk strength exercises that shouldn’t be an issue when you are fully recovered (i.e. at least 3 months post op and with your doctor’s approval). Start with the single top leg raise only for a few weeks and see how you feel – any strain then stop. Re hoola hoop unweighted does still recruit the upper/outer abs so this is an exercise to be very careful with. Having never played Oboe I can only guess that you need to blow hard into the mouth piece to generate sound? In this case this will increase pressure on your pelvic floor. If a particular activity causes discomfort now it will be likely one to avoid post op. long term. Exercise bike is a great option for cardiovascular fitness. When you say nordic walking do you mean hills and long walks using poles? Thank you for that. I am now home recovering! Nordic walking I would use long poles, but usually on the flat, not steep hills. Sad about the oboe though, but I think it would cause pressure. I’m so determined to everything I can’t to keep my pelvic floor safe. Thank you for your excellent advice. I have been a gym ‘rat’ for a few years now, and at age 70, doing very well. Obviously don’t want to loose ground, but don’t want to be stupid aftr the supracrv hysterectomy. Will switch to low weight and more bike. Thank you for the advice. My question is how about the eliptical? I will assume that the treadmill is OK. I always rotate my cardio and go everyother day, when possible. Had the surgery 11 days ago, so I will only be walking for awhile. Thanks for your comment. This video on elliptical machine exercises should answer your question about how to keep the elliptical machine pelvic floor safe when you’re given the ok to return to general exercise- hope this helps you out! your website is great and i start to the kegel exercise. i had my hysterectomy in March and recover well. I will do as possible as i can to keep my pelvic floor safe because i know that hysterectomy increased my risk of pelvic floor problem. but there is not many pelvic floor experts in my place not to mention a Pelvic Floor Physiotherapist like you. My gyn tell me not to lift more than 3 kg in one hand in the first 3 months and that’s all. my problem is, i would like to know if climbing upstairs/downstairs put extra pressure on my pelvic floor? Because i have to climb upstairs to my flat in 5th floor. i think with my hands empty , that is ok. (is that right or wrong?) but if i have to carry the stuff upstairs after my grocery-shopping or lifting my washing blanket downstairs? now i can ask for help from my family but i would like to know if i can do more. now i use backpack or carry the weight (all less than 5 lbs)in a bag with one shoulder instead of lifting the shopping bag with my arm straight (down), which i guess that will cause more harm to my pelvic floor. (i am only 99 lbs and not very strong muscle. ) what do you think, and do you have advise? Hi Yi-Ling you are wise in listening to your doctor’s guidelines and avoiding heavy lifting. Yes you’re probably better using a backpack however you are still carrying the additional load in your backpack so take care not to carry too much in the back pack. The load of the backpack still has potential to load your pelvic floor so just because your hands are free doesn’t mean that you’re safe to lift greater than 3 kg. Yes get your family to help where you can or carry in small loads not large ones. It may sound silly but step down lightly on your feet when walking down the stairs so this means taking your time. The fact is, you still have to get on with your life so do the best you can – it sounds as though you’re being very careful so keep up your good work and yes don’t forget to keep doing your kegels or pelvic floor exercises after hysterectomy too. My wife has been informed that she will never be able to lift the same sort of weights she used to and is considering not having surgery. We have an adult son with special needs and there will be some lifting for the rest of our lives – and more than a bag of sugar. Is she right to be reluctant to have surgery? We were also told that if a lift reversed the surgery she would be worse off than before. It’s nearly time to make decisions and I want her to make the best, most informed choice for her well being.